MoreTricks.com is a growing technology blog where we provide tips on Blogging, SEO, WordPress, Technology, Social Media, Make Money Online, Blogger, Adsense and some other trending topics. 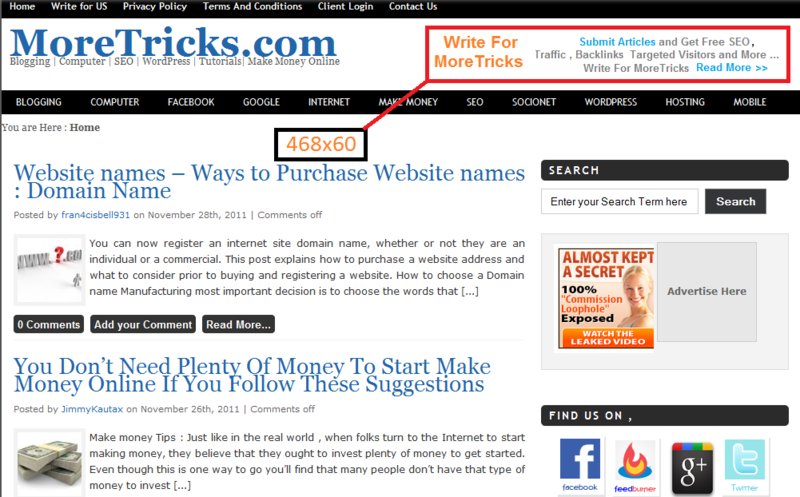 Why You Should Advertise With MoreTricks.com ? 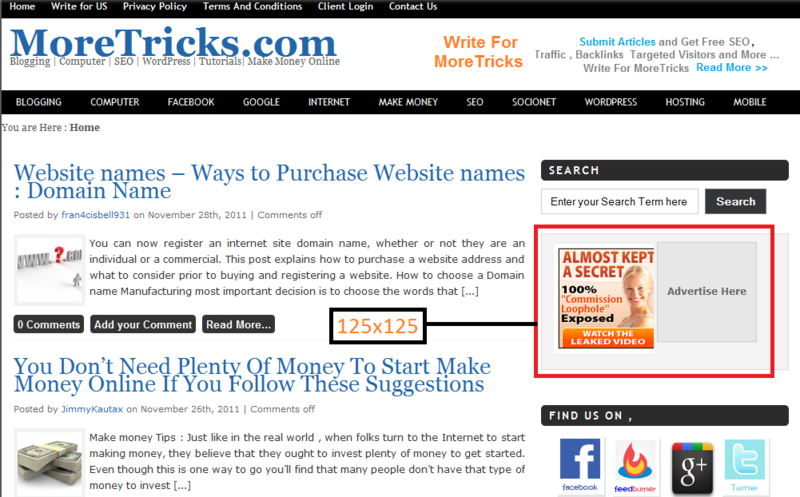 MoreTricks.com is a growing technology blog with 2000+ daily unique visitors .This is the main reason why you advertise with MoreTricks.com.You can reach thousands on online users by advertising with MoreTricks.com. More Types of advertising options are available with MoreTricks.You can contact me with your requirements and I will put the current information for you.All ad units are sold directly with price which is $5 less than the price mentioned at buysellads.Why this reduction ? Yeah ,there is a reason behind it.If you are placing ads directly by contacting me , no reports will be available for you.If you buy with BuySellAds.com you will get report on your ad block. If you are interested to advertise with MoreTricks.com or to know more about advertising just contact me at admin@moretricks.com or use the below contact form.